After long illness the British collector, musicologist and Henselt researcher Richard Beattie Davis died aged 86 on September 6th, 2008. 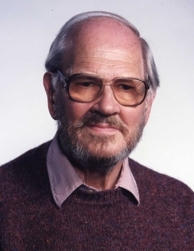 Davis who lived in Sandhurst located in South Kent collected mainly the works of Russian and German composers and published in various scientific journals and encyclopedia. For 23 years Richard Beattie Davis and his wife visited regularly Schwabach the birth town of the pianist virtuoso and composer Adolph von Henselt. As a lifelong passionate collector of Henselt artefacts he supported special exhibitions at the town museum with loans and the Henselt archives with generous donations. In 2000 he dedicated the statue of Henselt, created by Clemens Heinl and funded by the Lions Club Schwabach outside the chancel of the city church of Schwabach. In 2004 he bequeathed the archives of the town museum his whole collection of printings of Henselt music and musical autographs (The Henselt Archive). Richard Beattie Davis was one of the main initiators of the International-Henselt-Society based in Schwabach. When the society was founded in 2004 he was appointed honorary president. Richard Beattie Davis could no more present his broad chief work “The Beauty of Belaieff” an encyclopedia about the Russian music publisher Mitrofan Petrovich Belaieff and the “who is who” of Russian music personally in Schwabach. It includes besides the vast information about Russian composers numerous references to Henselt. Due to his generous donations Richard Beattie Davis will be tied to Schwabach.